FANTASTIC PRE-POST WORKOUT - Nourishment/Recovery and helping to keep you satiated and full for hours! REAL FOOD PRODUCTS - Our products are "Real Food Products" (Food Made From Food) - that has been minimally processed to ensure complete nourishment, we always recommend using a high speed blender. 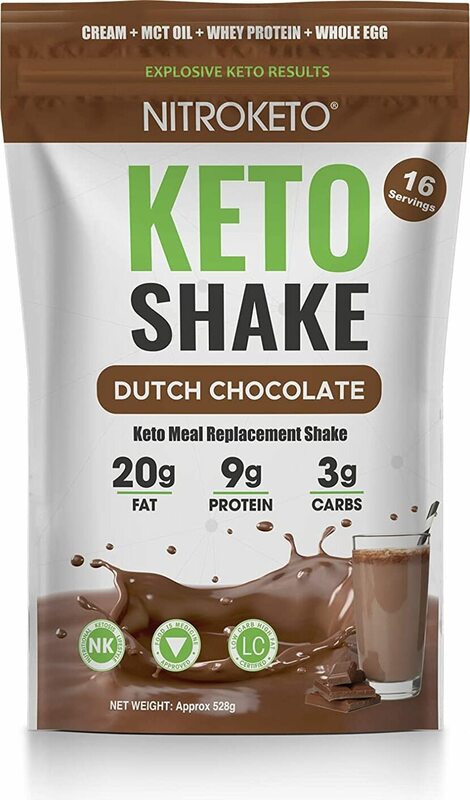 CLEAN PRODUCT LABEL - Nutriketo Ketone Shake contains no added sugar, gums or fillers. Check the labels of other keto products and you'll lots of fillers and other chemical ingredients. Read our ingredient label and you will know and be able to pronounce everything on it.